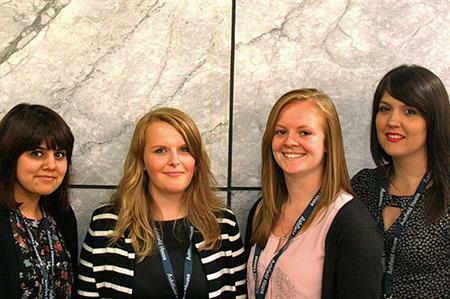 Universal World Events has appointed five students to its University Placement scheme, following a successful first year. The scheme was launched in 2012 to further strengthen its relationship with academic institutions offering event management degrees. Working with universities throughout the UK and abroad, Universal World Events received 75 student applications to attend an assessment centre organised by the agency in May. The applications were shortlisted to ten undergraduates who were looking for a year’s work placement as part of their degree course. The assessment consisted of individual presentations, group exercises, a tour of the facilities at head office, a company overview presentation, a Q&A session with existing agency staff and IT tests. Five placements have been offered, joining Universal World Events as Project Executives and Travel Executives. Joining the company are Lowri Sadler, currently studying the BA Event Management course at Chester University; Sarah Gledhill, studying the BA Events Management with Tourism course at Sheffield Hallam University; Samantha Stacey, who is studying the BSc Events Management course at Sheffield Hallam; Sarah Sajid, studying the BA Event Management course at Leeds Met; and Bethany Matthewson, studying the BA Event Management course at Huddersfield University. Denise Abbott, UK managing director, said: "This has been a highly successful first year of running our undergraduate programme and I think our students would say the same. We recognise that although the academic background is important, staff learn vital event management skills ‘on the job’ and so have been very pleased to offer these valuable placements to our lucky candidates." The Big Debate: Are event management degrees a waste of time?